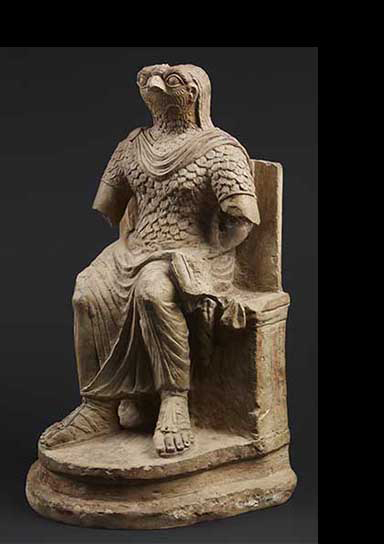 The Egyptian god Horus in Roman military costume. Egypt, 1st-2nd century AD. © The Trustees of the British Museum.